Mouthguards are necessary tools that protect teeth and soft tissues from injury. Before mouthguards were available, contact sports injuries to the teeth, tongue, mouth and soft tissues were common. Mouthguards additionally protect the teeth from injury due to teeth grinding or temporomandibular disorders (TMJ). The Yuba City Dentistry Group directs the customization process to guarantee an undelayed turnaround time to meet your protection requirements. The American Dental Association recommends mouthguards for over twenty-five different activities. Playing competitive or recreational activities minus a mouthguard means you are twice as likely to have injury to your teeth or the soft tissues. 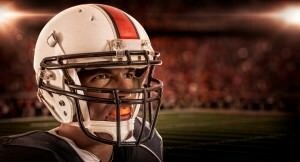 While “boil and bite” mouthguards are commonly available at the local sporting goods store, anyone who uses these “do-it-yourself” mouthguards may tell you that the fit is loose and far from secure. That’s why dental tests demonstrate that the protection available with custom-made mouthguards is superior to any sort of “one size fits all” mouthpiece. Mouthguards made by the Yuba City Dentistry Group start with an impression of your teeth. That impression is then employed to make a mouthguard out of durable resin. This mouthguard fits well, so it is not loose and you can speak normally. With proper maintenance, your mouthguard may last for multiple seasons of activities. Bruxism is the scientific word for teeth grinding. For most customers, this problem takes place at night. For some, stress or temporomandibular disorder may lead to bruxism during the day. While the treatments vary from person to person, the importance of protecting your enamel from the harmful forces caused by clenching your jaw and “gritting your teeth” is quite clear! A custom-made mouthguard is the immediate treatment to prevent the injuries left by teeth grinding. Also called “night guards,” since they are usually employed while sleeping, or “occlusal splints” and “occlusal guards,” these tools fit particularly well onto the teeth. Your speech should not be significantly changed when wearing one, especially as the occlusal guard is custom-made. For some customers, simply wearing the occlusal guard regularly is enough to stop the bruxism episodes. Many customers report an end to regular morning jaw pain and headaches from wearing a custom-made occlusal guard when they sleep.